Hello everyone! This month, we're talking about the GDPR, the events we attended, and, of course, the current state of the dev of Seers Isle! Let's talk a bit about General Data Protection Regulation. As you may certainly know from the gazillion emails you have probably received on this topic, a law has been passed in Europe, applicable since May, 25th, about privacy and internet data (commonly referred as "GDPR", a.k.a. "GRPD" for us French people). Be aware that we don't collect any personal data from playing our games here at Nova-box. In other words, if you ever tampered with the black arts, or if you did some pretty questionable stuff with either Stan or Frank during your play-through of Along the Edge, we have no way of knowing (and we wouldn't judge if we knew). Malagar, Bordeaux Geek Festival, and "Storycode"
This month was quite rich with public events, starting off with our presence at the literary festival "Des Livres et Moi" at the Domaine de Malagar, which was the home of the French writer François Mauriac and has been re-purposed as a public space for culture. It was the first (and probably only) time we had the chance to play-test our games in an authentic 19th-century stable. There was also an exhibition of pictures from Along the Edge that we selected to compliment the atmosphere and the history of the place. The exhibition is still on display for a couple of months, so if by any chance you are around Langon, feel free to make a stop and check it out! 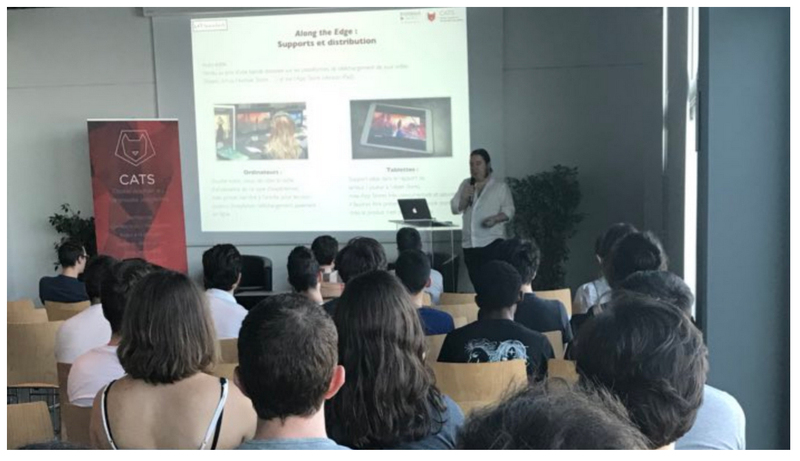 Here are some pictures from the event and from the talk we did there about our games, animated by our marketing expert extraordinaire, Yannick "Tavrox" Elahee, who lent us a helping hand, along with our musicians Camille and Julien, during the weekend. To finish, last week, I (Geoffroy) made a talk at Cap Science about the narrative approach in our games. 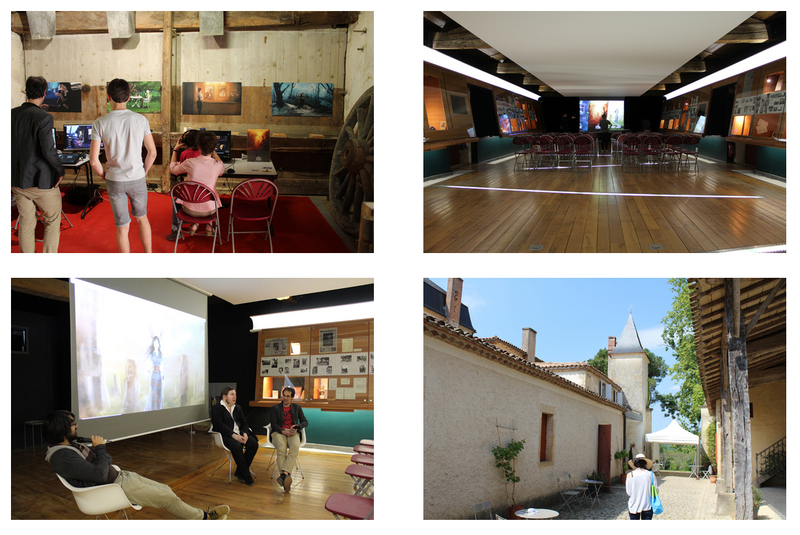 It was organized by "Le CATS" and Bordeaux Games for the third edition of the "StoryCode" seminar. I shared the stage with Sylvain from Big Bad Wolf ("The Council"), and Curtis, who's working on "Tau Station". It was very interesting to confront our vision with that of other fellow devs. If any of you attended the event, I hope you had as much of a good time as I did! As always, let me conclude with a quick paragraph about what we've been doing this month. Seers Isle is still a couple of months away, and we're hard at work trying to chew down all the work that needs to get done to complete the game. 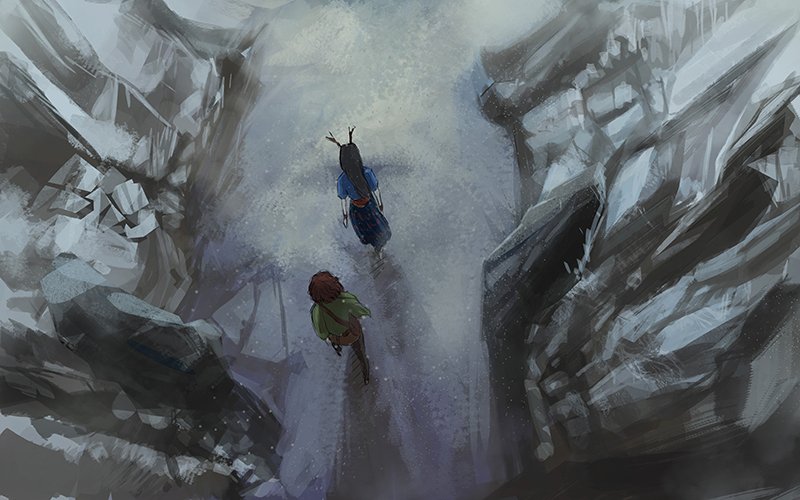 Nico has started doing some polish on the visuals on chapters 4 to 6, while I'm scripting everything, so we can get a feel of the flow of the story in its myriad of variants. Raph has spent some of his "spare time" (read: the time he has left when he's not working for our regular business clients) optimizing the sound engine and reworking the save feature. Camille and Julien have composed and integrated demos of all the themes of the characters in the game engine. They're hard at work writing everything down on music sheets and preparing for the final recordings (seems like I'm laying down the bouzouki tracks on June, 16th). So, we'll be spending all of June with our heads down in order to churn out a hopefully decent beta version of the game for early July. Last but not least, we're very glad to welcome Rachel Capie in the team. She's been working on the English localization of the game, and so far she's doing quite a stellar job! You'll get extra-fresh updates about our projects and our whereabouts once a month, nestled in the coziness of your own inbox (and you can unsubscribe anytime). Geoffroy, on behalf on the team.